Seniors Christmas 11 Hole Competition and Lunch. The annual seniors Christmas Competition was held in the first week of December with 39 members braving the inclement weather conditions. Ian Finlayson took first prize with an incredible 29 points off 11 holes and was closely followed by Steve Jones (27) with John Chapman and Alan Clydesdale on 26 points. Almost 50 members enjoyed an excellent Picket Walnut Christmas lunch prior to the Chairman’s address and prize presentation. 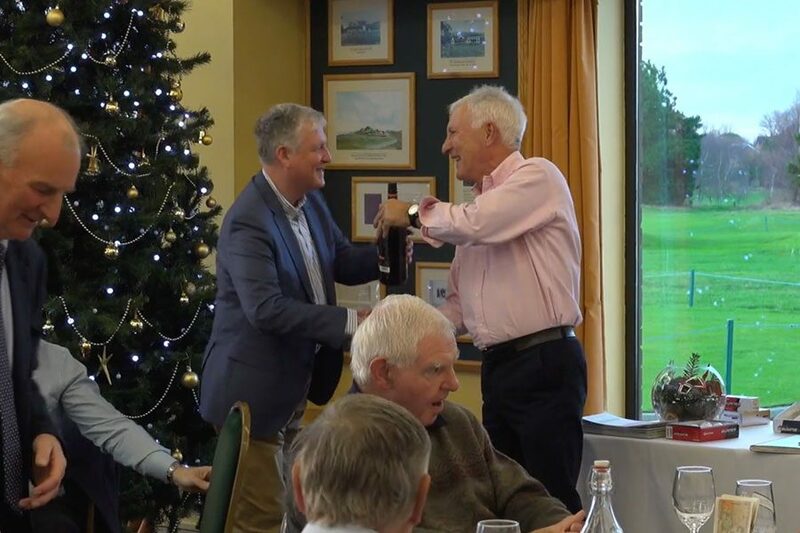 https://www.caldygolfclub.co.uk/wp-content/uploads/2018/12/Seniors-Christmas-11-Hole-Competition-and-Lunch..jpg 600 900 kc_chris https://www.caldygolfclub.co.uk/wp-content/uploads/2017/08/logo3.png kc_chris2018-12-04 19:43:032019-02-26 10:20:52Seniors Christmas 11 Hole Competition and Lunch.